Thanks to the utter failure of my current body lotion to actually moisturise my dehydrated skin, I am now a raisin. When one finds oneself becoming a raisin emergency measures must be taken. I popped on my coat and rolled my raisin behind straight down to my local Boots to find something cheap and effective to salve my poor, dry skin. Still reeling from the recent discovery that evil parabens could be secretly worsening my little KP problem, I had to hunt for something more natural. 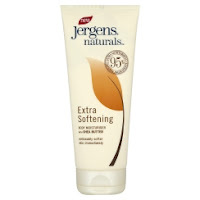 Forced, therefore, to dismiss 98 per cent of the products on offer, I settled on Jergens Naturals Extra Softening, which at a discounted price of £2.44, didn’t hurt my bank balance either. This moisturiser relies on shea butter to help maintain moisture levels and provide an instant softening effect. The smell is very, very subtly fruity, which I’m happy about, and the lotion sinks straight in. My skin is left smooth and silky, but without greasiness. After a few applications of this stuff, I’ll be a juicy grape again in no time! Excellent! just what my poor body needs right now! I have also became a bit of a raisin and I have been using anything with cocoa or shea butter! :p The Lush massage bars have been a bit of a saviour for me, but I have been eyeing up this brand for a while! I really do despise winter. My face has dry spots and of course, I can't apply make up with all these disgusting spots on my face. And I'm starting to see the same spots on my arms. I need a new moisturizer! Thank you for the tip! We're all suffering in the cold! Nothing I do seems to make any difference to my dried out face. Mara - I feel your pain. 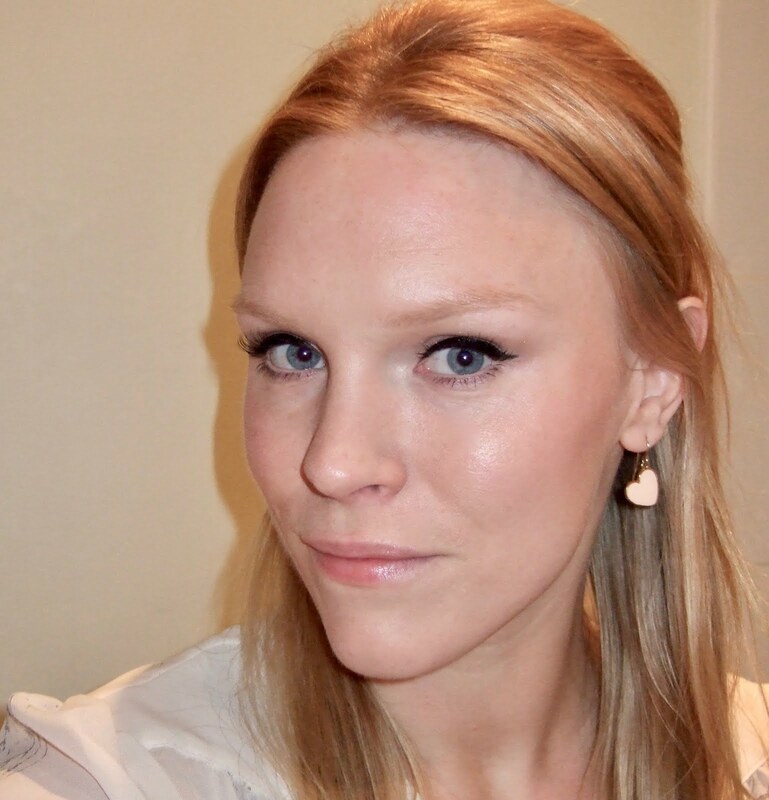 I exfoliate, I moisturise, I moisturise some more, and yet still my makeup cakes on dry bits! ARGH! Anyone with any suggestions please comment.